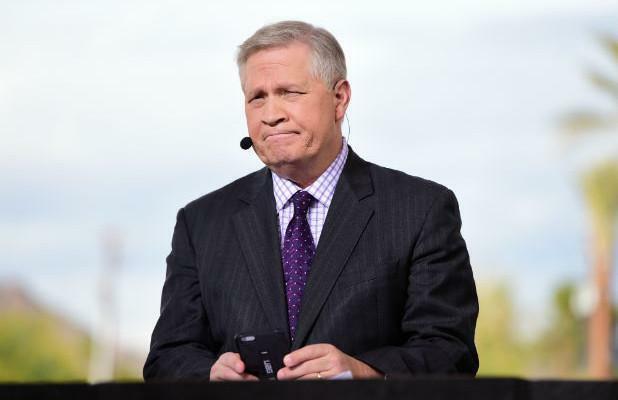 ESPN reporter Chris Mortensen said he is standing by his original story, but . . .
CHARLOTTE, N.C. — A subplot to the Deflategate saga has been the role of ESPN’s Chris Mortensen, who on Jan. 20 reported that 11 of 12 balls used by the Patriots in the AFC Championship game win over the Colts were underinflated by 2 pounds per square inch (PSI). The information proved incorrect and Mortensen, who cited “league sources” in his tweet, removed his post — but not until August. Now it seems Mortensen may be backtracking on his backtracking. Appearing on the pregame show on 98.5 before Friday’s game against the Panthers, team president Jonathan Kraft contradicted Mortensen’s claim.